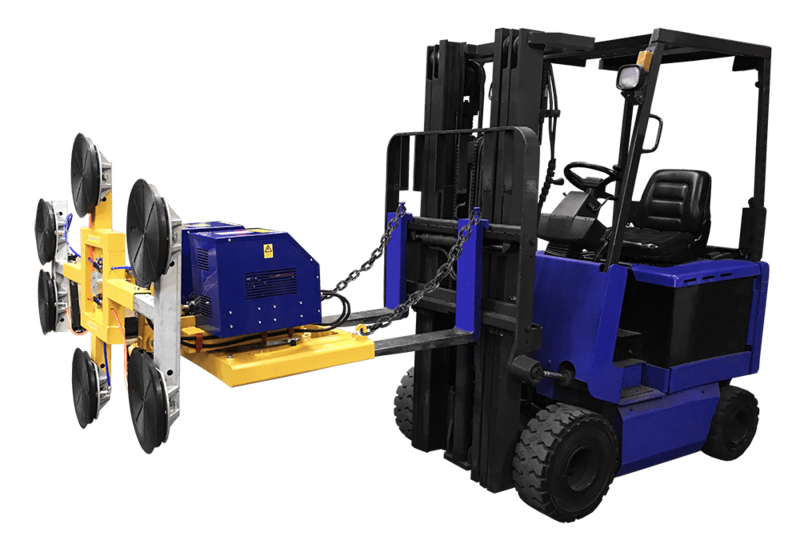 Quattrolifts have also released the Omni 880. 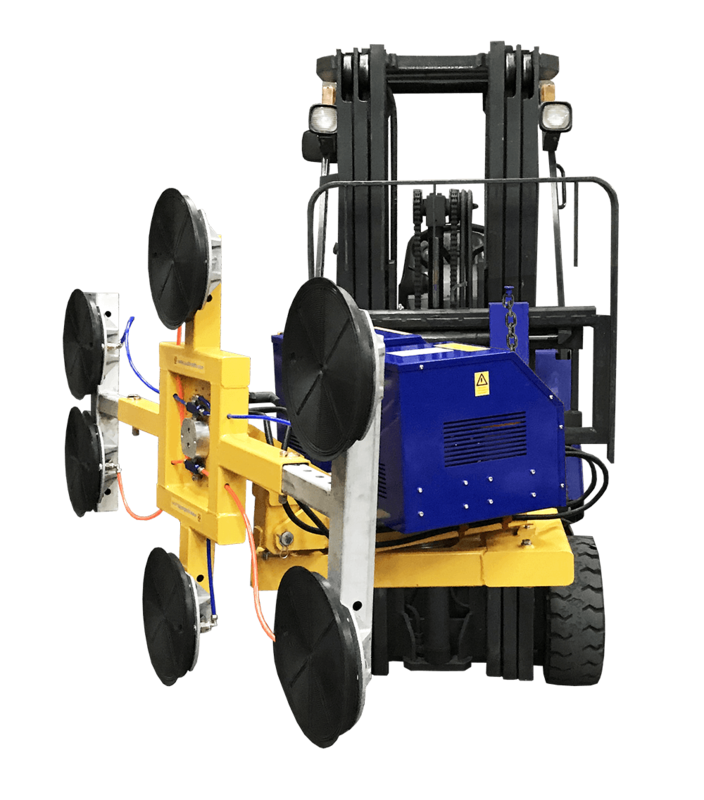 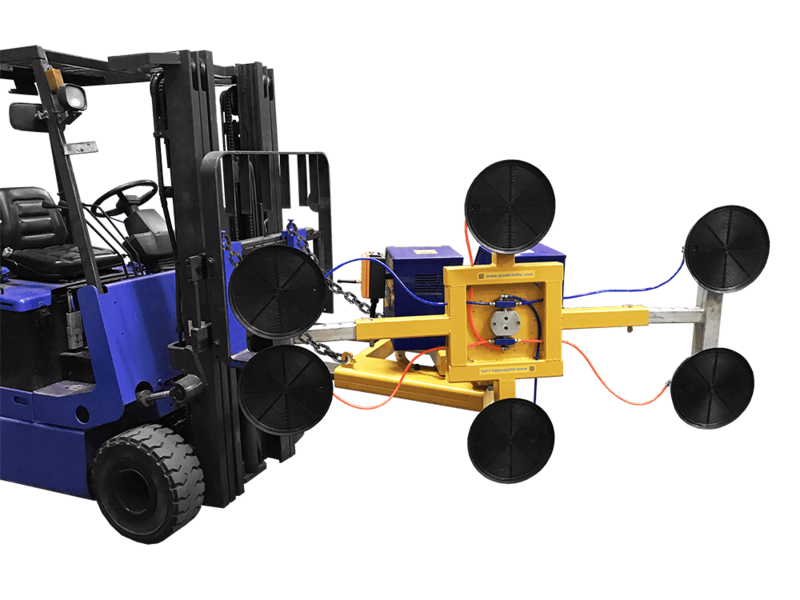 It has been designed to easily attach to the forklift tynes. 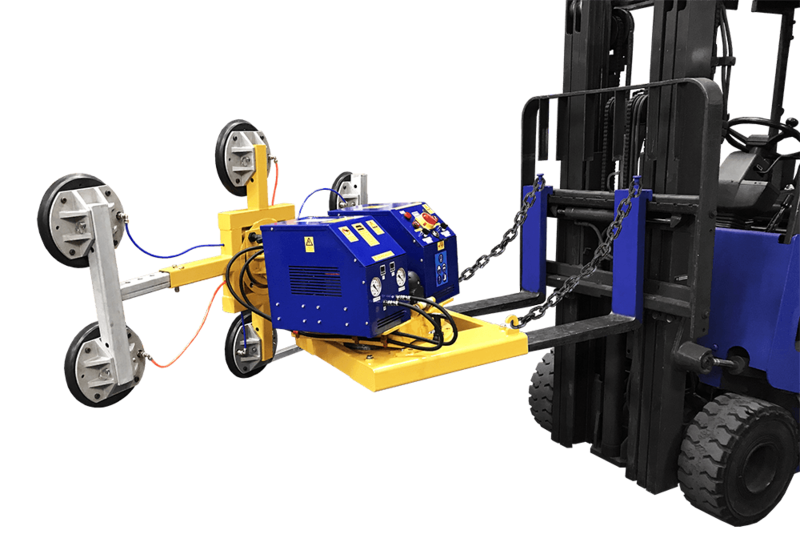 The Omni 880 comes with a remote control allowing for horizontal tilting with an electric actuator. 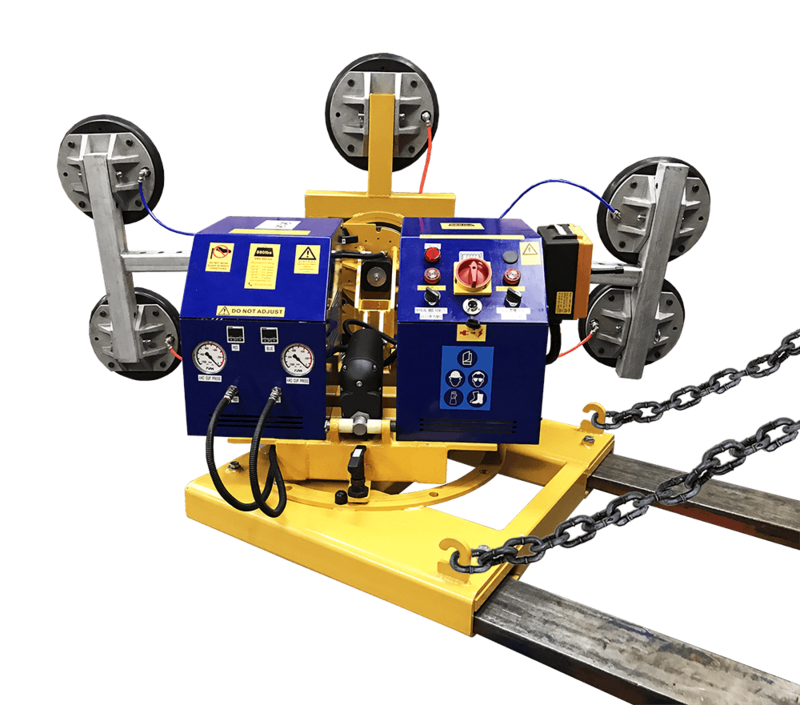 The Omni 880 is a reliable, efficient and safe method of handling nearly any smooth, nonporous material, including glass, metal, stone, plastics and laminates.